FORRES – Private Workshop Tour and Demo’s for two or more people. We offer a 30 to 40 minute behind the scenes visit and talk at the workshop, you will see lots of automata and some of the many of the skills needed to repair them as well as demonstrations of some rare pieces in action. 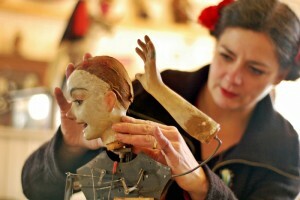 A visit to the workshop is a unique experience, we enjoy sharing our passion for automata whatever your level of interest. Email:- magic@thehouseofautomata.com or text us to arrange your visit. Cost is £12 per person (large groups please enquire for discount).